SEPHORA is now available at Robinsons, The Gardens. 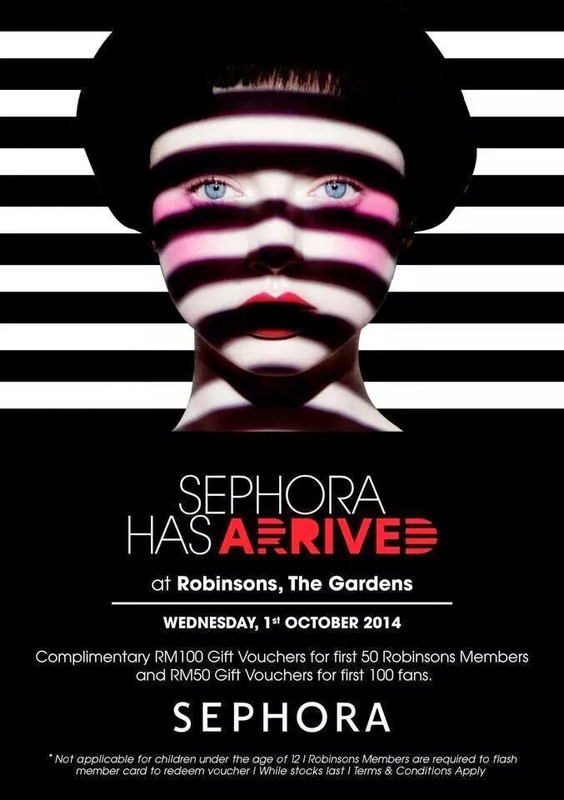 SEPHORA is going open at Robinsons The Gardens Kuala lumpur, is just nearby where I stay. They are giving out Rm100 voucher for the first 50 robinsons members and Rm50 gift voucher for firat 100 fans. So if you are free thia wedebesday please do visit Sephora at Robinsons The Gardens at 10a.m.